The episodes in recent days, featuring the erection of barricades, destruction of public property and widespread violence by opposition groups bring back memories of the 2014 guarimbas (1). After months of violence, with certain neighbourhoods effectively under siege, and a death toll of 43, the opposition gangs slowly demobilised. But some analysts argue that this time it is different. 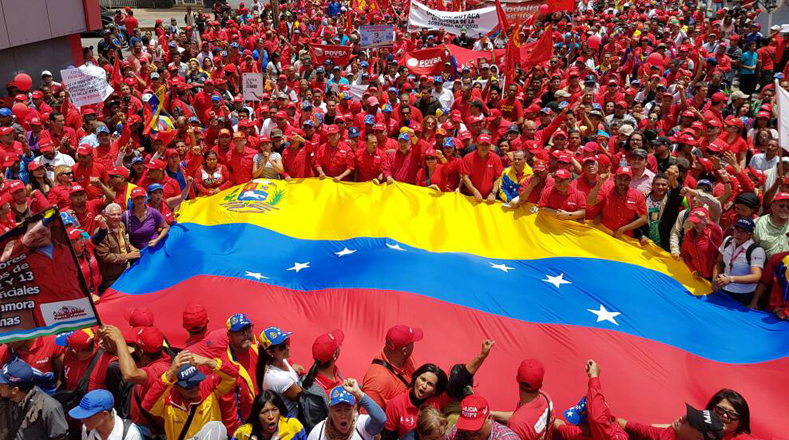 With the right-wing coming to power in Brazil and Argentina and the permanent hostility of the empire, some international bodies have been neutralised and others, such as the OAS, adopted a plainly interventionist agenda against Venezuela. And as always when it comes to Venezuela, the empire and the local oligarchy make sure that their “war” on the streets is backed by a “war” through the media. The violent opposition guarimbas of 2014 resulted in 43 dead people. A detailed look at all the victims and the circumstances in which they died shows that a few of them were opposition members, a roughly equal number were law enforcement agents, and the large majority were either government supporters or bystanders. And yet, the western media (and private media in Venezuela as well) will talk about “43 dead as a result of government repression” or “43 dead as a result of clashes with government forces”. If we are very lucky we will read about “43 victims from both sides of the political divide”. But even this is misleading. Hanging a wire across an avenue and beheading a motorcyclist is not any kind of political statement, nor is the victim from this or the other side of the political divide. It is a plain murder. The Venezuelan police forces have on occasion been accused of deploying heavy-handed tactics, for instance in the recent OLP (Operación de Liberación del Pueblo) campaign. But the fact is that law enforcement agents have been arrested and seen charges brought against them for negligent or criminal actions that might have resulted in injuries or death to bystanders or protesters, even if these were armed and violent. This happened a few days ago, when a bystander was shot dead by a police officer, just like it happened three years ago. It is a level of accountability that is miles away from the impunity enjoyed in places like the United States, where police officers can shoot an unarmed man in the back or choke someone to death without any real consequences. The opposition’s script is clear enough. With the national and international elites doing their part in the economic war and financial blockade, it is down to the political agents to do their part. This involves getting people out on the streets, something they have not always been able to do, and generating as much chaos as possible. Since the media, both the private Venezuelan outlets and international ones, ensure that violence and death always work in favour of the opposition, their hope is to trigger a chain of events that would lead to a coup like in 2002, or to a foreign military intervention (3). Or, in the worst case scenario, wear down chavismo to secure a victory in the next presidential election. (1) Guarimba is the name given to violent anti-government protests, usually involving street barricades. (2) This is part of Venezuela’s housing mission GMVV (Gran Misión Vivienda Venezuela), which has provided 1.5M houses at little to no cost to poor and working class Venezuelans. These housing projects have been the target of hatred from the right-wing oligarchy, which sees them as an attack on its God-given right to make money from real estate speculation. 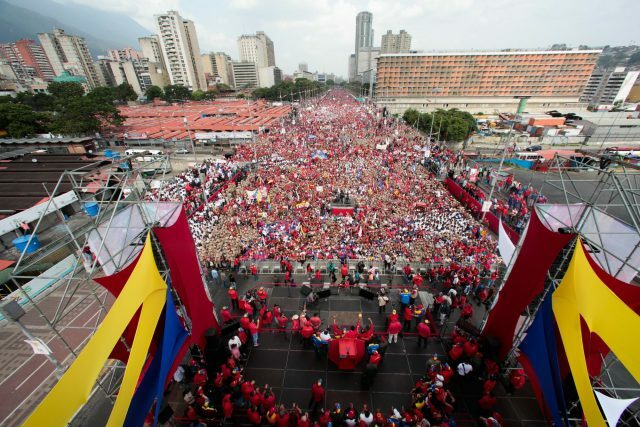 (3) One of the opposition’s resident buffoons, David Smolansky, tweeted that the Maduro government was using chemical weapons (it was just tear gas), effectively urging the United States to bomb his own country!